Veteran star KIM Yun-seok goes behind the camera for the first time with his directorial debut Another Child. Based on a short stage play and adapted for the screen over the past five years, the film is a compelling character drama that draws on KIM’s many years of stage and film set experience, to create unique characters within a seemingly ordinary melodramatic setup. 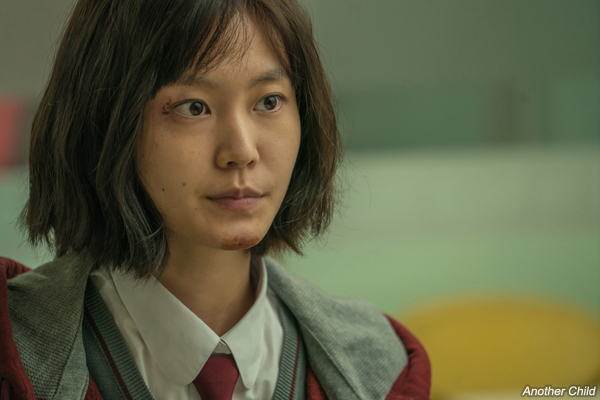 Joo-ri (KIM Hye-jun) is a 17-year-old girl who discovers that her father (KIM Yun-seok) is having an affair with a restaurant owner (KIM So-jin) who happens to be the mother of her classmate Yoon-ah (PARK So-jin) and falls pregnant with his child. Joo-ri decides to tell her mother (YUM Jung-ah) what she has seen and soon things spiral out of control for all the people involved. Although new to the director’s chair, The Chaser (2008) and The Thieves (2012) star KIM is well known within the industry for often taking an active role in the films he’s performed in. For last year’s thriller Dark Figure of Crime, it is said that he worked with director KIM Tae-gyun on the film’s script. Another Child has been receiving positive reactions since its press screening earlier this month and may well be a sign that KIM will continue to work both in front of and behind the camera in the years to come, allowing him to join a rarefied group of actor-directors in Korea.